With these cold, grey days I've been jonesing for some major comfort foods. Meals made up of bread and roots, avocados and hot sauce - nothing is too rich for me in February. I’m not typically a dessert person, but there’s something so sweet and comforting about rice pudding. It’s reminiscent of my childhood at a Waldorf school in Maine, where we often consume a mid morning meal of rice porridge with honey and cream. This was always such a treat for me and the smell of that meal is a memory that will always bring me joy. 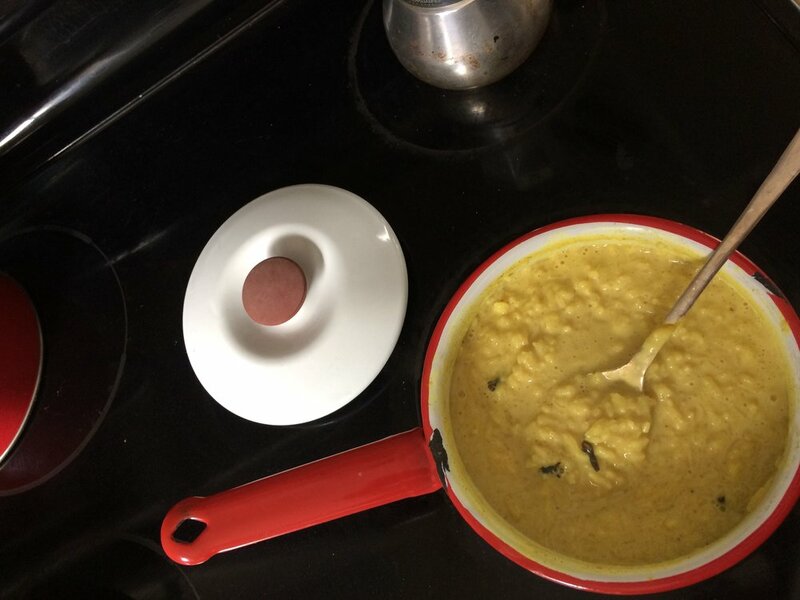 Now that I’m older and a little plant obsessed, I wanted to try my hand at making rice pudding combined with my two favorite things : turmeric and chai. I also added shatavari which is sometimes called wild asparagus. Shatavari is commonly used to aid the balancing of hormones in female bodied people and when translated it is said to mean “she who has a hundred husbands" so it’s safe to say that it has a special affinity for the female reproductive system. You can also use Ashwangandha, an adaptogenic herb (see previous post for a description). Rinse rice and place in medium size pot along with cream & milk then add salt, cracked cardamom pods and cloves. Let simmer for 25 minutes or until rice has cooked, stirring every 5 minutes or so. Once rice has cooked and mixture has become creamy, add honey, powdered spices, herbs and vanilla extract. Stir and cover pot with a lid and heat on low for another 10 minutes. Beat egg and stir into pudding. Mix constantly for about 2 minutes then cover pot and heat on low for another 3 minutes. Remove from heat and enjoy. Store in fridge for 3-4 days.